1800’s – Theories of how water or sap moves through a plant were the topic of discussion among botanists in the late 1800’s. Many theories were suggested, examined and tested. 1894 – Henry. H. Dixon and John Joly both of Trinity College, Dublin, hypothesized the first idea of “Cohesion Theory” using several experiments and wrote several papers. The most popularly quoted to this day is “On the Ascent of Sap” which was read before the Royal Society on November 15, 1894 and published in the Philosophical Transactions of The Royal Society B in 1885. Dixon and Joly are recognized as the pioneers of “cohesion theory”. 1965 – Cohesion theory re-surfaced with P.F. Scholander and his associates, H.T. Hammel, Edda D. Bradstreet and E.A. Hemmingsen. They wrote the most famous article in SCIENCE, Volume 148. April 16, 1965. “Sap Pressure in Vascular Plants”. 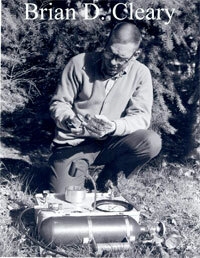 Equipped with the first real “Pressure Bomb” they measured “Sap Pressure” in a host of species. The Pressure Bomb or chamber allowed them to test and make theories about how water was moving through these plants. 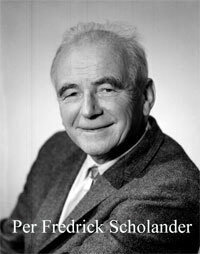 The name “Scholander Chamber” is coined after Per Fredrik Scholander. 1967 – The first commercially available (Scholander Pressure Chamber) or Pressure Bomb is manufactured in the garage of Brian Cleary. PMS Instrument Company is incorported in Oregon, USA and owned directly by Brian Cleary and Joe Zaerr. Here is the account according to Joe Zaerr. 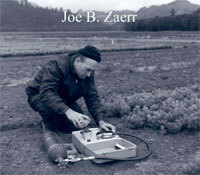 1970’s – Most work done with the Pressure Chamber was first directed toward Silviculture and reforestation efforts in forests in Oregon and Washington states. In addition the instrument became a popular tool in the plant physiology laboratory. Mid 1970’s – New interest in the Pressure Chamber is sparked by research work being done in cotton production located in the San Joaquin Valley in Calfornia. Some of the initial irrigation strategies were mapped out by Donald W. Grimes and H. Yamada. Many others contributed to this project which ultimately yielded some very accurate irrigation strategies for cotton production. 1980’s brought about expansion of research into various crops. Work began in Alfalfa, Grapes, Tomato and began to expand into some orchard crops. The work beginning in Wine Grapes was pioneered by Don Grimes, Larry Williams and a host of others. Irrigation strategies were tested in participating wineries in the late 80’s such as Robert Mondavi. This research was then fine-tuned over the next decade and resulted in some very simple irrigation strategies for wineries worldwide. 1986 – Vulnerability Curves or Percentage Loss of Conductivity (PLC-Curves) brought a new task for the Pressure Chamber. This research was spear-headed by John S. Sperry of University of Utah. The first vulnerability curves were done with a normal single ended Pressure Chamber. Ideas progressed and the developement of a “double ended” pressure chamber or a “Sperry-Chamber” helped with plants that were not flexible enough to be tested in the normal Pressure Chamber. For more about John S. Sperry and his research click here. For a first hand account by John Sperry of the history of ‘Air injection vulnerability curves’ click here. PMS Instrument released our commercially available Cavitaton Chamber or Sperry Chamber in 1996. 1998 – Production work in Prunes – Ken Shackel. 2000 – Almond, Walnut & Prune – Allan Fulton, Richard Buchner, Joe Grant, Terry Prichard, Bruce Lampinen, Larry Schwankl, Ken Shackel. On the Ascent of Sap. Henry H. Dixon and J. Joly. Phil. Trans. R. Soc. Lond B 1895 186, 563-576. Sap Pressure in Vascular Plants. P.F. Scholander, H.T. Hammel, Edda D. Bradstreet, and E.A. Hemnmingsen. Science. April 16, 1965, 339-346. Water-stress-induced xylem embolism in three species of conifers. Sperry, J.S., M.T. Tyree. 1990. Plant Cell and Environment. 13:427-436. A method for inducing xylem emboli in situ: experiments with a field grown tree: a technical report. Salleo, Hinckley, Kikuta, LoGullo, Weilbony, Yoon, Richter 1992. Plant Cell Environment 15: 491-497. Intra- and inter-plant variation in xylem cavitation in Betula occidentalis. Sperry, J.S., Saliendra, N.Z. 1994. Plant Cell and Environment. 17:1233-1241. Relation of Cotton Growth and Yield to Minimum Leaf Water Potential. D. W. Grimes & H. Yamada. Crop Science. Vol. 22, Jan-Feb. 1982, P. 134-139. Water Management for Cotton. D.W. Grimes and K.M. El-Zik. University of California Cooperative Extension. 1982. Bulletin 1904. Climate-normalized Cotton Leaf Water Potentials for Irrigation Scheduling. D.W. Grimes, H. Yamada and S.W. Hughes. Elsevier Science Publishers. 1987. 293-304. Pressure Chamber Procedures for Leaf Water Potential Measurements of Cotton. M. Meron, D.W. Grimes, C.J. Phene and K.R. Davis. Irrigation Science. 1987. 8:215-222.